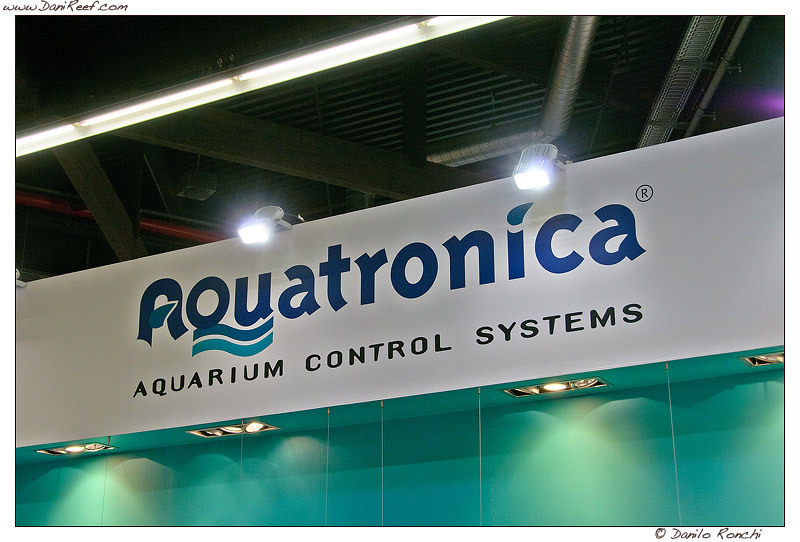 During our trip inside Interzoo we could not miss an historical company for aquarium automation: Aquatronica, which we visited in Hall 2. 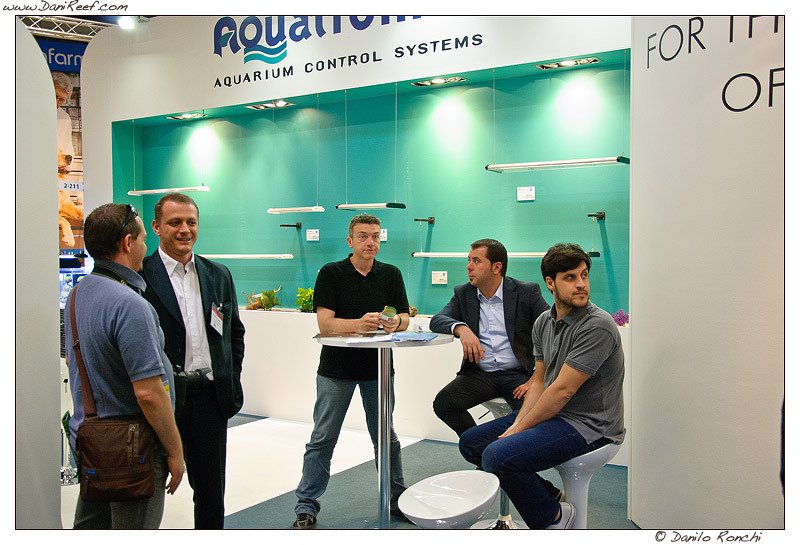 It ‘s been a pleasure to meet again in person Massimo Brandi, second from left in photo, who strongly wanted Aquatronica and created from scratch. 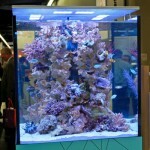 Today Aquatronica it’s a global reality, and, as we had anticipated a few weeks ago (Aquatronica unveils the new Touch Screen!) 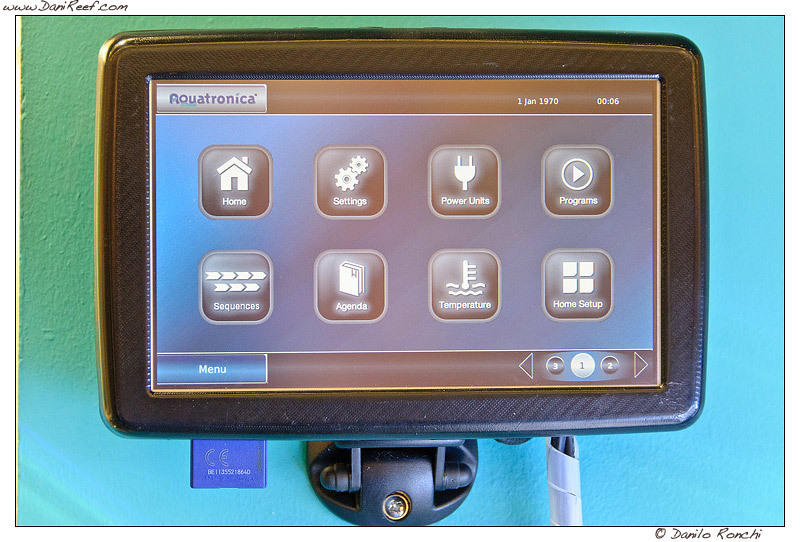 the system has been updated with a brand new Touch Screen. I will not repeat what has already been highlighted in the article linked, but seeing it live is truly spectacular. 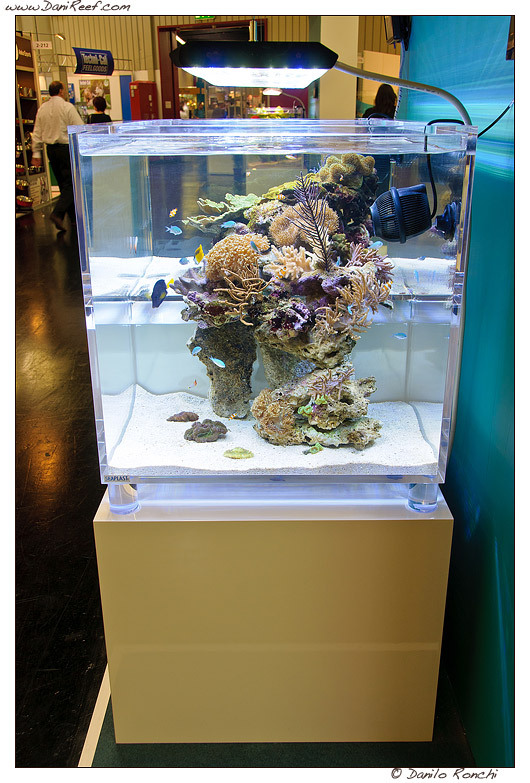 If you were Aquatronica users… I did not let slip. 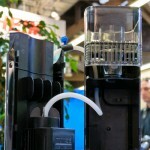 It’s really beautiful and moreover broadens enormously the horizons of the system. 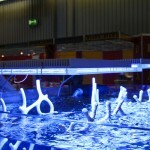 But Aquatronica has presented, aside from updates of her system, her new LED ceiling light. 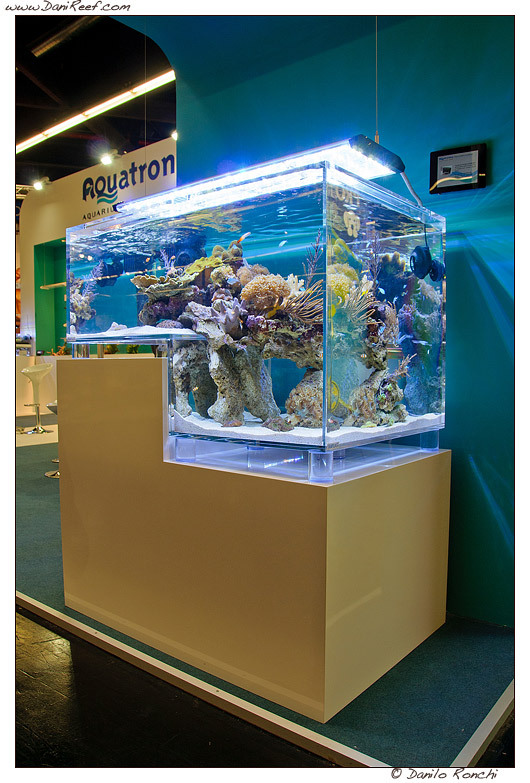 The frame is made ​​of aluminum and the Aquatronica Led bar we already know are placed inside . 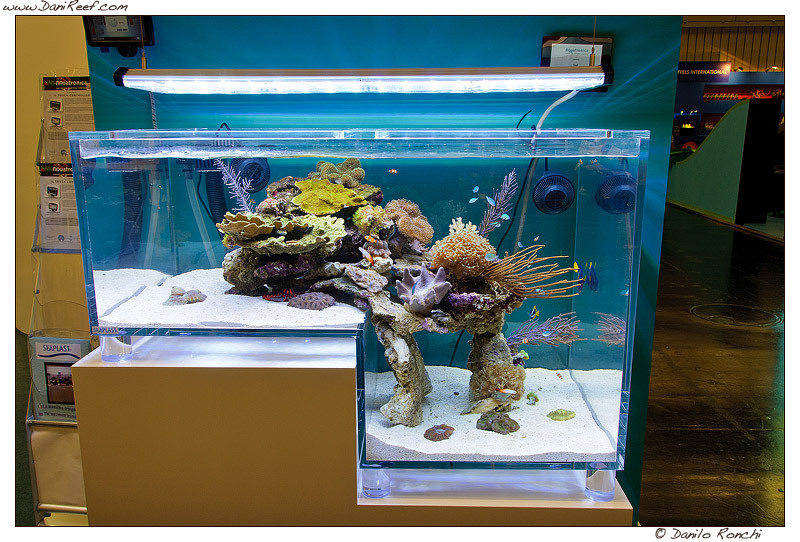 The result is very attractive and above all thanks to the beautiful acrylic thank by Seaplast, in our opinion one of the most beautiful seen at Interzoo. Unfortunately, this layout isn’t easily replicable at home, otherwise I would do it. 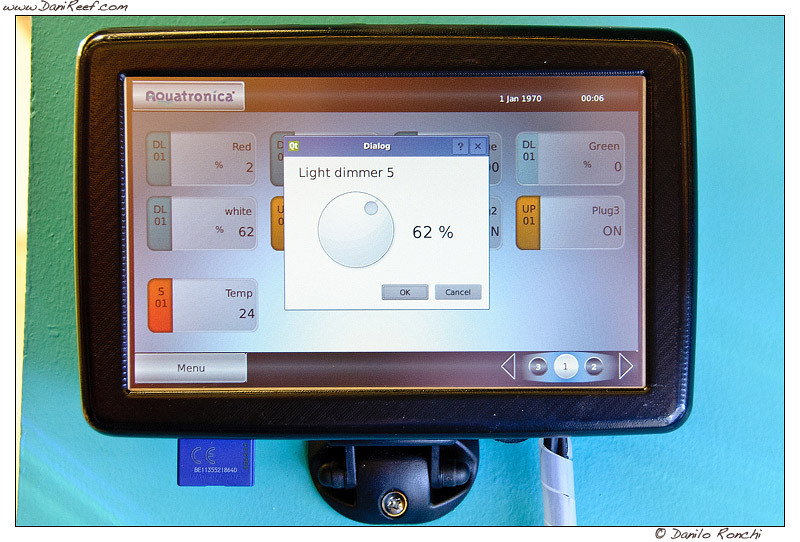 The light coming from lighting, as seen in the images, appears to be extremely bright even for aquarium as special as this, and it is obviously completely controllable by Aquatronica aquarium controller. Visually we can see the difference in brightness on the white sand of the two levels is not so high, indeed appears to be almost equal. A really beautiful and special effects. 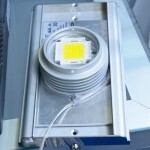 The company has grown a lot in recent years and continuous innovation is definitely one of the reasons for her growing popularity. 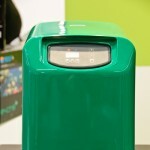 And the expansion of its system with ethernet controller and wi-fi built in, SD card to save your settings and to extend the memory, a stand-alone controller fully controllable from a computer, without screen, but much more economical are just a few steps that push it at the avant-garde. Do it like they do on the Discovery Channel!